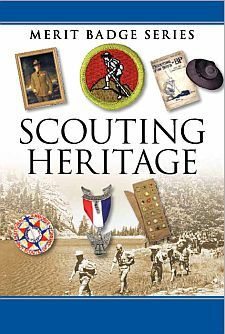 Give a short biographical sketch of any TWO of the following, and tell of their roles in how Scouting developed and grew in the United States prior to 1940. Interview at least three people (different from those you interviewed for requirement 5) over the age of 50 who were Scouts. Find out about their Scouting experiences. Ask about the impact that Scouting has had on their lives. Share what you learned with your counselor. The Footnote in requirement 4b was effective only during 2010. If a Boy Scout or Venturer visited Adventure Base 100, during 2010, he should receive credit for that requirement, even if he completes the merit badge subsequent to 2010.